Massachusetts Institute of Technology, or MIT, is at it again. This time, a tech team says it has developed a virtual assistant headset that can capture and translate human thoughts. The headset, called AlterEgo, can’t actually read your mind. But it can interpret the words you intentionally think inside your head and then translate those to another device. For instance, if you think “Hey, Siri,” the headset could interpret that and send a message to activate Siri, the virtual assistant used in Apple operating systems. Here’s how it works. 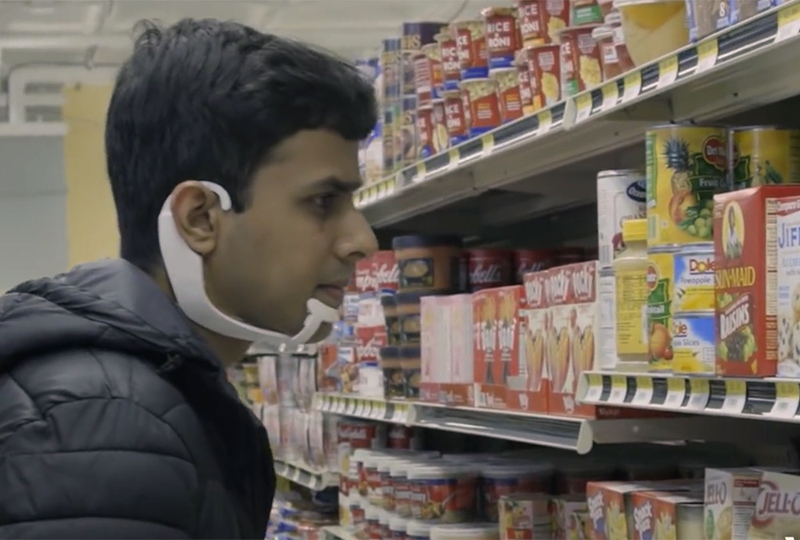 AlterEgo is a wearable technology headset. 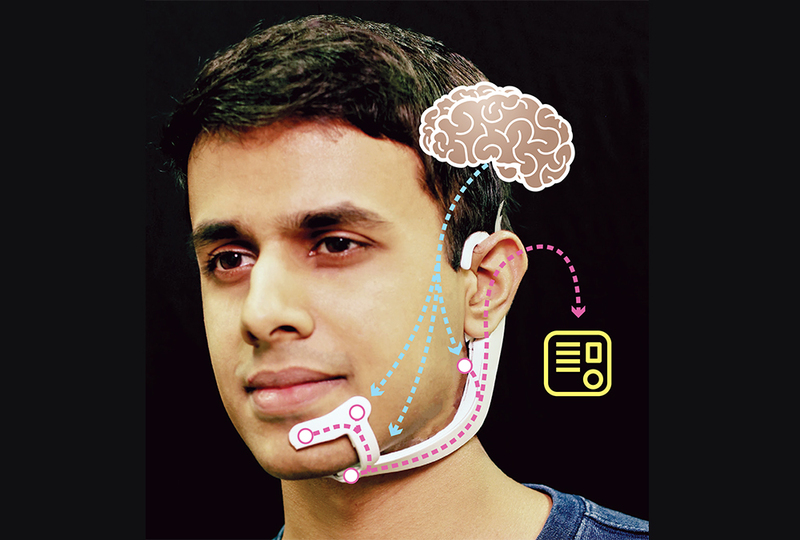 It’s noninvasive, but it fits onto a person’s face so that sensors will pick up tiny nerve signals the brain sends to the muscles that operate the jaw and face. 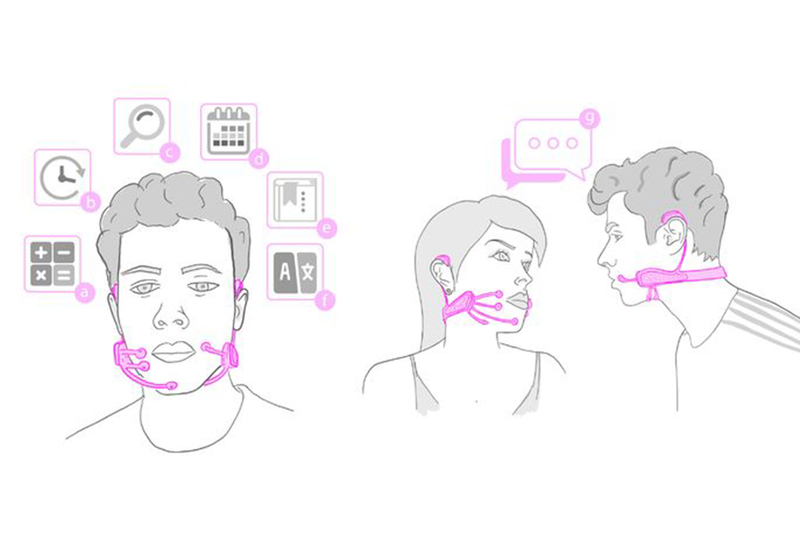 When the wearer intentionally thinks a thought in words, such as “What is 25 percent off on $37?” the headset recognizes from the brain’s signals the words the jaw and face would be forming. At that point, the message can be transferred to another assistant wirelessly and silently. It could contact a computer calculator app to do that math and respond with the answer in the headset’s earpiece. Or it might send the message to an assistant, like Google, to look it up and respond. If desired, the message could be transferred to an audio speaker and broadcast to anyone in earshot. All that happens without the wearer even opening his or her mouth! At present, AlterEgo can read internalized thoughts with 92 percent accuracy. The MIT team says as the technology continues to improve, it will be possible to control any computer with the mind only. 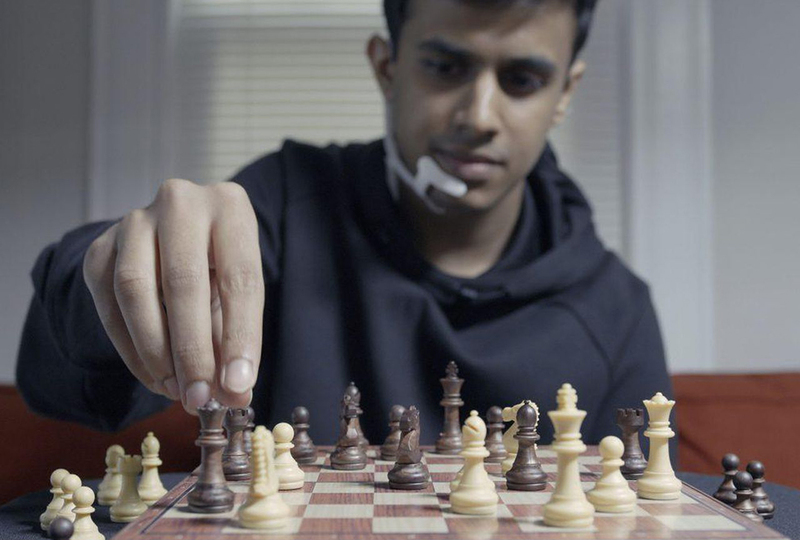 In one test, a wearer used the headset while playing chess. He internally described each move his opponent made. The headset interpreted those thought words and sent them to a chess strategy program. After each move, the program reported back into the headset’s earpiece the next best move for the wearer. Potential uses for the headset include military secret operations—in which it may be beneficial for personnel to communicate silently and receive detailed instructions the same way. It could give an artificial voice to those who are unable to speak out loud. Those are potentially good uses. But knowing human nature and its tendency to corrupt every good thing for personal gain (see Genesis 6:5), others worry the device might be used wrongly. It could make cheating on tests harder to detect. Even worse, some envision how AlterEgo could be misused to forcefully extract information that another might not willingly impart. What I would like to know is if the person who was playing chess with the headset won. Though it could be used for invading someone`s thoughts, it would be far more humane than torture. Good Idea, it could probably be used as a lie detector as well. But watever, this is.............interesting. And Yes it’s definitely better than torturing the words out of someone. But it’s also scary, I mean I would hate people to be able to read my thoughts just by connecting themselves to a headset that I’m wearing, like people need privacy! Police could put it on some people at the scene of a crime and find if they did it. Lol, let's just hope it's used for official things, like stuff for the law or for people who can't talk. Otherwise, I don't think it's a good plan. Yes, this is great for a lot of things but bad in a lot of ways...... I wonder what 2050 is gonna be like if in 2018 we have gagets that can read our minds!!!!!!!!!!!!!!!!!!! Man, I'm a little bit creeped out about what the future will hold. Just imagine what we'll be doing. I hope they have one person flying machines! wonder if they would sell it for a million dollars! i would not like that. its like humans are getting lazier every year and now we wont even have to speak? That looks cool but i'm not sure if I would want something reading my mind, what if you thought something you didn't want it to know, and people could cheat on tests and other things. I mean, we all have to admit that it's pretty cool, but still, this could be used in so many wrong ways. If people do use this, I hope it's only the police, people that can't speak, etc. that use it, not people trying to cheat and do other wrong things. this is kinda creepy to me and its a sign that humans are getting too lazy. i mean with this they don't even need to talk which ins't even that hard. The only use i can see for it is for people who cant talk. Hello, I have some questions for the MIT. Lets say I am deaf would I be able to speak with the AlterEgo?????? Bet still this is SUPER CCCCOOOOOLLLLLLLLLL!!!!!!!!! It could also be used in offices for dictation, and would be more likely to read commands correctly due to lack of background noise. In order to read thoughts, the wearer needs to intentionally think words, so one could resist information extraction. Plus it would be difficult to cheat with because your jaw is an easy place to see. Sooo, now they have a device that can read your mind? I mean, it's kinda cool, but it can have the possibility to make people very lazy! And it also can help people cheat on test, as Megan G said, or like Owen G said, it can make people to lazy to talk. And what if it found out something you did't want it to know? I think this device should only be used by people who can't speak, or by the government, IF, and only if, Absolutely needed/necessary. I am homeschooled. I think that this new mind reading thing is good and bad. It can be good to use it once in while, but it can be obsessive Also this could make it very easy to cheat, make up answers, and go online when you are not suppose to . Also it would probably be very expensive, but, it could also help people learn new languages, and help people who can't use their hands or feet look things up with out having to walk, wheel a wheelchair and they would not have to type. So I think that this can be useful, or (in the wrong hands,) harmful. That's so cool how technology keeps advancing! Possibly one day the mind reader things could be an every day device. That might actually be nice since Siri almost never works.